At each panichida, we sing « His memory is from generation to generation ». But will many prayerfully remember the ever-memorable Metropolitan Vitaly on this Sunday, the very day of the fifth anniversary of his death? The faithful sons of the Church Abroad will undoubtedly remember and raise up fervent prayers of thanksgiving concerning him. The perpetrators of the betrayal, on the contrary, having finally stifled the voice of their conscience through persistent, constant falsehood, have henceforth directed their gaze and their thoughts in a completely different direction and do not want to remember the past. They have begun to live a new life. But it is possible that some among them, at the recollection of their deeds, experience the agonizing torment of conscience, that little voice of God that is put into each person, and, like Boris Godunov who shouted : « Keep away, keep away, child », they try to sweep aside the still recent past; but the face of the profaned Metropolitan and the memory of their iniquities from time to time do not give them rest. And there is a third category of people: the mass of those who, on account of weakness, on account of spiritual negligence, on account of “obedience”, have followed the betrayers and thereby think that they do not bear responsibility or guilt for what has happened, concerning which they are profoundly mistaken. Let them not lull their conscience: they too, although to a lesser extent, have betrayed the Metropolitan and have betrayed their fathers and their past. .
Metropolitan Vitaly was the last link connecting us to genuine Russia. He was the last hierarch in the world who was born in Tsarist Russia and who remembered how, as a ten year old boy together with the valiant White Army, he left forever the shores of Russia, which through his long life he bore in his heart. He was the last representative of those giants of spirit who created the special face, not comparable with anything else, of the Church Abroad. 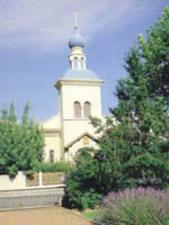 He was, as once wrote Metropolitan Agafangel, an « ikon of the Church Abroad ». The fate of the reposed Metropolitan is in many ways similar to the fate of the Holy Tsar-Martyr. Indeed, just like him, he could say : « All around is treachery and cowardice and deceit ». Just as till now there are “woeful monarchists,” who denounce the Sovereign as allegedly not being in any way a victim, but the very first initiator of the revolution and of the collapse of Russia, since he abdicated the throne – yes, there are such cranks! 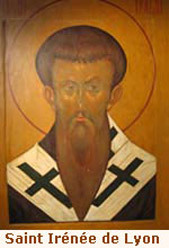 – so too there are people without a conscience who assert that the Metropolitan himself was guilty in the breakdown of the Church Abroad, and that it was necessary to “remove” him from the office of First Hierarch in order to save the Church, just as it was necessary to “remove” the Sovereign in order to save Russia. The identical falsehood oozes both there and here. The First Hierarch and also the Tsar are not presidents of republics; they are not appointed directors of enterprises for a fixed period – they are the bearers of a special charism, and they are not “removed” as not wanted. They remain on the Throne until the time when the Lord calls them to Himself. But when, through force or deceit, they are forced to step down from the Throne, that is a very vile overthrow and a revolution, as took place in February 1917 and as occurred 10 years ago in 2001. Such overthrows cannot be blessed, since the driving force in these iniquities is always the same – treachery, wherein the devil serves as an advocate. No one will dispute that Metropolitan Vitaly, by virtue of his advanced age and memory loss, could not sin and make mistakes, especially when he was intentionally led into error and his physical weaknesses were taken advantage of. But until his last breath, he remained faithful to the Idea, was unbending in defense of the Truth and uncompromising toward evil. The reposed Metropolitan bore a heavy cross during the last years of his earthly life; but like the Sovereign, he bore it completely without complaint. No one ever heard a single word of complaint, reproach or thirst for revenge. Never. Without complaint, with the greatest humility, he endured both mockery and attempts on himself. The only thing that he said was « ANATHEMA » three times to his tormentor, the unworthy “bishop” Michael Donskoi, who to this day by his presence defiles our Cathedral of the Exaltation of the Cross in Geneva. The merciful Lord called him to Himself six months before the union with the MP. And so, his eyes did not see that greatest infamy, which was committed by those whom, in the majority of cases, he himself had elevated to the hierarchal dignity, seeing in them worthy defenders of the foundations of the Church Abroad. With bodily eyes he did not see, but with spiritual eyes he saw everything. And these emotional experiences were for him undoubtedly much more painful than physical ones. By forgiving all and through submission to destiny and the will of God – let is not be afraid to say – he was raised to sanctity. Let everyone think about this. There is still time for repentance. Metropolitan Vitaly was an “icon” and "guide". He showed and continues to show to each one the path of honor and truth, the path delineated by his three marvelous predecessors, Metropolitans Antony, Anastasy and Philaret. But will enough Christian conscience, or simply civic courage, be sufficient for each one who does not want to become finally like the despicable “Februaryists,” in order to stand firmly on this path? Memory eternal, dear Vladyka Metropolitan!